The Energy Gang: Listen to Our Inaugural Episode! Check out the new GTM podcast featuring Jigar Shah, Katherine Hamilton and Stephen Lacey. 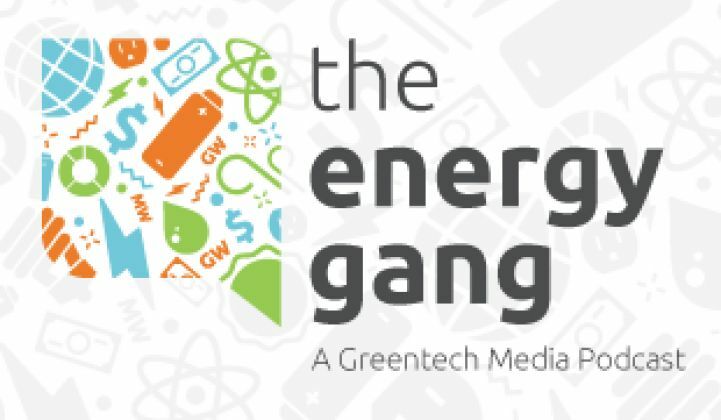 We present to you our new Greentech Media podcast: The Energy Gang. The program, which will come to you (nearly) every week, is an energy digest featuring engaging discussion about the latest cleantech and environmental news. The show consists of a regular panel that includes energy futurist Jigar Shah, energy policy expert Katherine Hamilton and Greentech Media editor Stephen Lacey. Join us as we delve into the technological, political and market forces driving clean energy. This week we'll look at how leadership changes in Washington may impact energy policy in Obama's second term; we'll discuss the health of Tesla and other leading electric vehicle companies; and we'll ask whether attacks on state-level renewable energy programs are backfiring. It's going to take us a few days to get on iTunes, so in the meantime follow us on SoundCloud for automatic updates. Also, make sure to subscribe to our other podcast, Take Five.